Building a strong middle class means giving Canada’s youth the tools they need to find and keep good jobs. 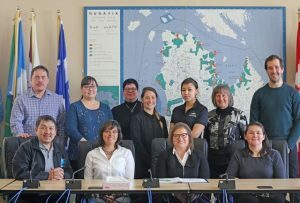 Today, Yvonne Jones, Parliamentary Secretary to the Minister of Crown-Indigenous Relations and Northern Affairs, on behalf of the Honourable Patty Hajdu, Minister of Employment, Workforce Development and Labour, announced a new project that will give youth in Quebec’s Nunavik region job skills training and hands-on work experience. Up to 100 youth will benefit from the Pijunnaqunga project, which will be delivered by the Kativik Regional Government, thanks to more than $2.1 million in Government of Canada funding through the Skills Link Program. Youth will receive two-weeks of training to enhance foundational job skills such as teamwork and communication. Following training, they will be connected with local employers to acquire hands-on work experience in fields such as administration and customer service. Participants will also receive action plans to help them take concrete steps to improve their ability to find and keep good jobs. Skills Link supports projects that help young people who face more barriers to employment than others develop basic employability skills and gain valuable job experience, which in turn assists them in making a successful transition into the workforce or to return to school. These youth could include those who have not completed high school, single parents, Indigenous youth, youth with disabilities, youth living in rural or remote areas or newcomers. Each year, the Government invests more than $330 million in the Youth Employment Strategy to help young people gain the skills, abilities and work experience they need to find and maintain good employment. Budget 2016 invested an additional $165.4 million in the Youth Employment Strategy in 2016–17. o provide over 1,600 new employment opportunities for youth in the heritage sector.